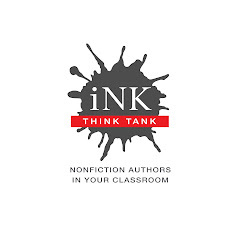 Since we INK bloggers have agreed to address the Common Core State Standards in our posts this month, I thought it prudent to actually read them — at least the K-5th grade standards. I’d already taken a crack at this a few times, but always realized, part way through, that I really needed to check the weather at NOAA or fix another cup of coffee. (It was so easy to get distracted that you’d have thought I was actually trying to write something myself. But that’s another story). Since I’m a nonfiction picture book author, it’s unsurprising that I have a generally positive view of the CCSS. I do have some concerns about their potential for spawning yet another array of standardized tests (see Vicki Cobb’s excellent Huffington Post blog on this subject). Once I applied myself, however, I found the standards to be as sensible and uncontroversial as educational policy as they are dry and unexciting to read. But I was surprised — though I probably shouldn’t have been — by the virulent online diatribes that bubbled up when I did a “Common Core” search. This stuff makes you want to laugh or cry. If you choose the former, you might appreciate my favorite argument against the CCSS, which turned up in a number of places. Since the standards do not require the teaching of cursive handwriting (though states or local school boards can include such instruction if they choose), future schoolchildren may be unable to read handwritten documents penned by the founding fathers. But I digress. My main takeaway from the informational text (nonfiction) standards was that good nonfiction authors are already writing books that fulfill the requirements of the CCSS, and have been for years. It’s also encouraging that the breadth and generalized language of the standards will probably make it difficult for publishers to produce opportunistic, passionless texts to cash in on the new market for nonfiction. Not that they’d do that. 7-Imp: Children’s book author and America’s first National Ambassador for Young People’s Literature, Jon Scieszka, talks through his Guys Read effort about how teachers and librarians can sometimes, whether inadvertently or not, be rather dismissive of non-fiction and how perhaps we could do a better job of acknowledging non-fiction, especially for boy readers. Do you have any thoughts on that? Steve: In my experience, teachers and librarians have not been dismissive of non-fiction, though that may be because I’m usually interacting with a self-selected group of non-fiction fans. In fact, that’s so obvious I don’t know why I never thought of it before. I agree with Jon. I think there are several things going on. Many early education professionals come from a language arts or “soft” science background, such as sociology (I’m not using “soft” in a negative way), rather than from a ‘hard” science (physics, chemistry, biology) curriculum. Reading and analyzing fiction is an integral part of most teachers’ education. I also think fiction and non-fiction elicit different kinds of passion in readers. The themes of fiction — love, fear, adventure, triumph over adversity — are universal. Read aloud, the exploits of Lilly or Despereaux can’t fail to captivate a room full of kids. The pleasures of non-fiction are more subtle. Few readers laugh out loud or cry as they learn about the extraordinary abilities of the jumping spider or how the continents have drifted about. And not all children are interested in the same non-fiction subjects. Some are fascinated by astronomy, others by geology or zoology. Unless a child has expressed interest in a specific subject, I think it’s much harder for a librarian to suggest a sure-fire non-fiction book. More: there’s a canon of great children’s fiction. Awards, best-of lists, reviews, and blogs focus disproportionately on fiction. And there’s the shelf-life problem. Charlotte’s Web and My Father’s Dragon (two of our family’s favorites) have lost none of their appeal after more than fifty years. Almost any geology, astronomy, or biology book of that age will be hopelessly out of date in many important respects. Finally (whew), though I hate to say it, I think the bar is higher for children’s fiction. Too many non-fiction books are just collections of facts presented without context or passion. But we shouldn’t let a few little things like that stand in the way of turning kids on to the world of non-fiction books. I’m serious. But I understand why it’s not always easy. I don't think as a fellow teacher that most teachers hate the common core - we hate the fact that we feel so unprepared, mostly due to the fact that many districts dropped the ball in starting implementation 2 years ago, and now are trying to play catch up, sending out reams of papers with things you must do, you must do this by this date, you must do this in this order, or else!! I think District supervisors/superintendents, should be held just as accountable for common core implementation as teachers, and be evaluated on same, just as teachers.